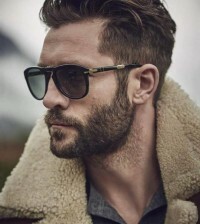 How to match a hairstyle ideal for your face? To make it harmonize with your oval, complexion and lifestyle? Your hair condition is also important. Here are few tips. – a proper hairstyle will emphasize our assets and disguise what is unfavorable in your face features. A stylist and a good hairdresser will help you with that. If your face is slender, generally you should add some width to it with some layers on the face sides. Veil your round face with short, shaded layers and delicate fringes falling onto your face. For oval faces a bob reaching the jaw line is perfect. – plays an important role when it comes to the choice of hair length. The principle is like this: thick hair may be well grown, as for thin hair – it should rather be half-long or short of a well-kept shape. Girls with thick shags have more options. On such hair many layers can be made and different shapes can be created. Thin hair should have longer layers, it looks good also with short styles. – it is an important element when making a decision about hair length. If you are shorter than 160 centimeters, you should avoid very long hair, because with such hairstyle you may seem even shorter than you really are. To seem taller, choose shoulder length hair or shorter. The opposite advice applies to a tall person. If you are over 170 centimeters tall, you shouldn’t choose hair too short, because your head will not look proportional as compared to the whole of your body figure. – very important to take it into consideration when choosing your hair length. Hair which is long and well-cared-for requires that you dedicate some time and effort to it. As for the most of short hairstyles is easy to keep. 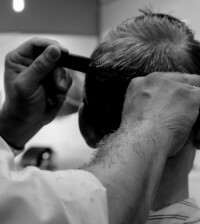 Often, when hair is cut very short, it is enough to dry it with a hair dryer. So, if you have little time for your hair each morning, and it is shoulder long or longer, so the best option would be to tie it into a ponytail. But, do you really want to look like this every day? Maybe shortening your hair is worth taking into consideration? Some cool hairstyle that would make you look younger, one that you can model out quickly? – shy people like hiding behind long hair, especially behind long forelocks. There’s no use convincing them to choose short hairstyles, which would be too much of an exposure to them – hair is like a safety screen to them. People who are open and self-confident dislike hiding themselves, this is why they prefer shorter lengths or sometimes even very short.